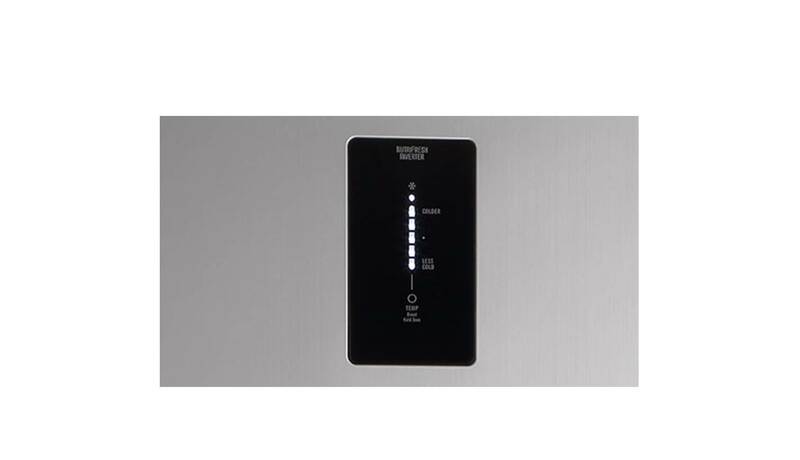 A convenient and efficient appliance for your home, the Electrolux EBE-4500AA is ideal for any modern home. 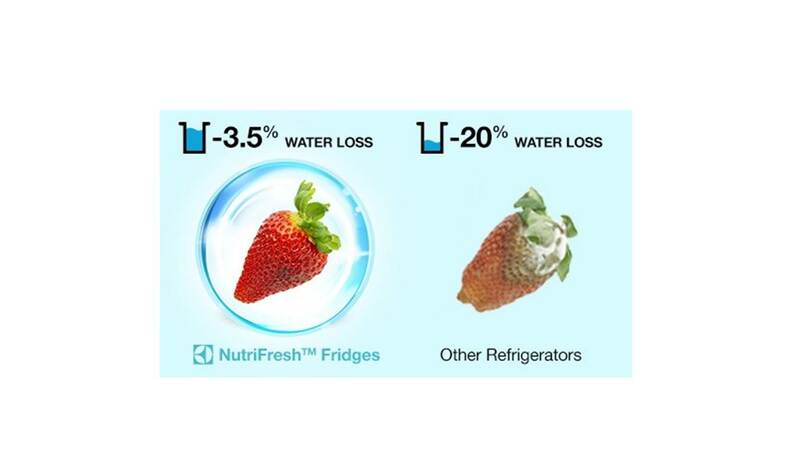 FreshShield Crisper feature keeps fruits and vegetables 7 days longer or more, so they taste better. 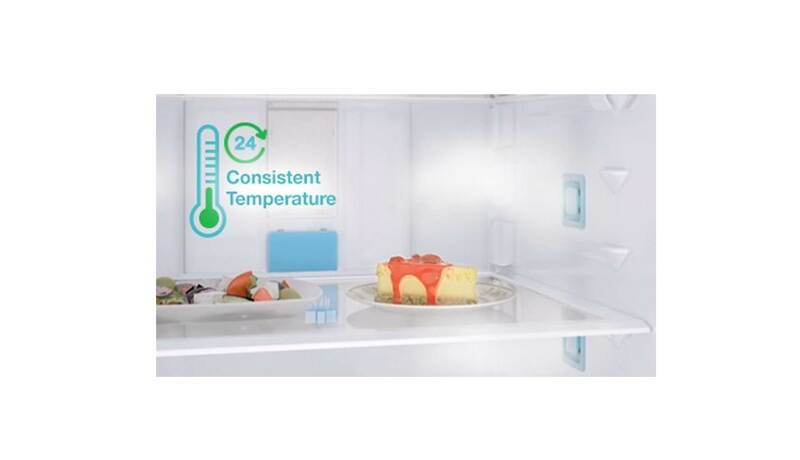 NutriFresh Inverter keeps the temperature consistent for freshness and up to 37% energy savings. 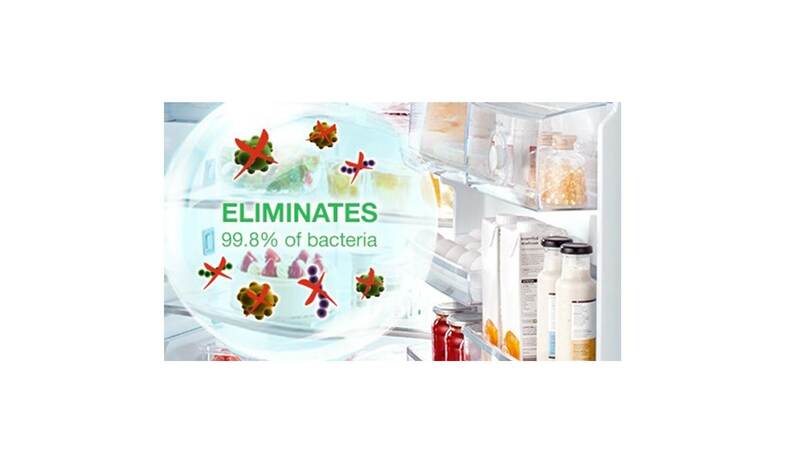 The FreshTaste Deodorizer helps eliminate 99.8% of bacteria and keeps odours away. 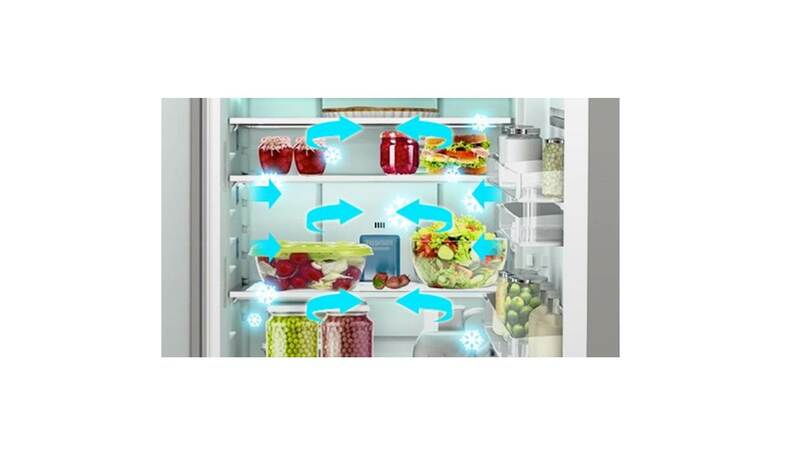 Electrolux EBE-4500AA 360 AirCool provides even cooling that ensures food at all fridge levels stay fresh and great-tasting. 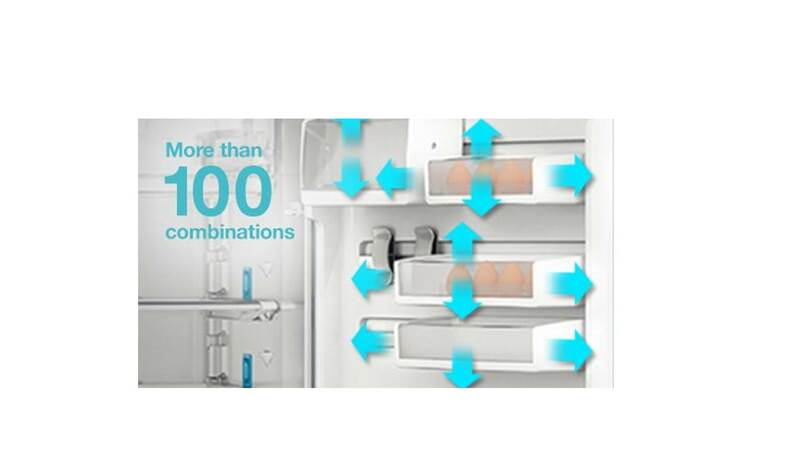 With FlexStor, combination of adjustable shelves and bins enables flexible storage of food. Fresh Logic - intuitive user interface offering easy temperature control. * Images used are for illustration purposes only.